The Submittal Deadline for the 2018 Awards Program has passed. Please join us at the 2018 CEAM Fall Conference in Ocean City, MD for the announcement of our winners of the 2018 Awards Program. Please contact the Awards Committee Chairman with any questions! 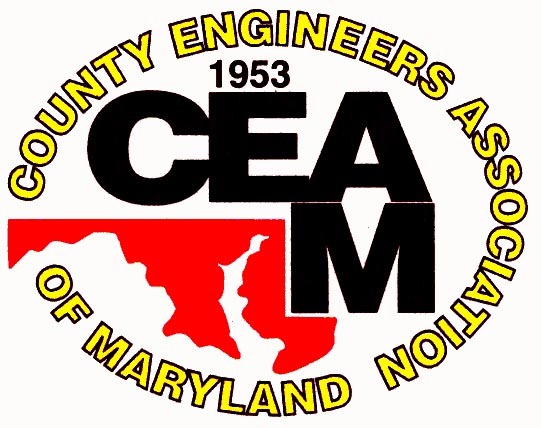 Learn more about the winners of the 2015 CEAM Awards by clicking on the links below. Contractor: David A. Bramble, Inc. Contractor: Highway Safety Services; Concrete General, Inc.; Sagres Construction; JLW Associates, Inc. Learn more about the winners of the 2013 CEAM Awards by clicking on the links below. Raymond Streib - Development Facilitators, Inc. These awards were presented at the 2011 CEAM Fall Conference in Ocean City, Maryland. For additional information on each of the County Projects of the Year, please click on each project by name. Melvin C. "Chuck" Beall, Jr., P.E.